Should your HR Department Function like a Business? 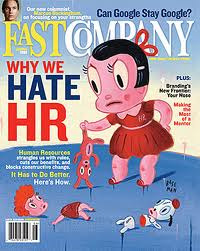 "The best and the brightest don't go into HR,” Fast Company quoted a management professor from a leading business school in its controversial cover story, “Why We Hate HR.” It has been almost seven years since the Gary Baseman cover hit my desk and that quote near the beginning of the article still stings. It was the summer of 2005. I was working at ING in Atlanta when the magazine was delivered to my office. I still recall stopping everything to devour Keith Hammond’s article. My team was just about to launch our first workforce measurement dashboard and the critique’s timing seemed fortuitous. While the comment about the “best and brightest” bothered me at the time, there was much in the article I agreed with and incorporated in the successful rollout of our new tool. From my own personal experience working in large organizations, speaking with hundreds of organizations as a research director at the Institute for Corporate Productivity and now in my consulting practice, I have come to realize that a root cause underlying all of Hammond’s criticism is that HR does not operate like a business, which reinforces the author’s first and painful point: the best business people do not go into the HR profession. 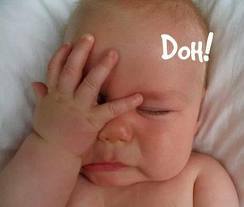 Why does the CFO say “no” to HR? I have heard Jeff say in countless forums that when he was a CFO, he did not say “no” to HR because he did not trust HR, believe it was the right thing to do, or even that the request would have a positive impact on the business. The reason the CFO says “no” is he/she is a fiduciary of the company. As a fiduciary, the CFO has a legal obligation to act in the best interest of “shareholders.” When HR is unable to provide a compelling business case for our programs and processes, what option do we give a fiduciary? Once Jeff explains the primary reasons the HR function fails to receive adequate funding, you have a forehead slapping, “I could have had a V-8” moment. But it is more than just a failure to articulate a business case; there are a number of typical HR practices undermining the HR function in the eyes of our business partners and organization leadership. I do not know if the core issue is the HR function does not recognize we are competing with the profit/loss functions (our business partners) for organization resources, if we believe it is not our place to compete, or something else. Regardless of the reason, the result is the same. Most HR organizations are not funded appropriately to meet the expected performance demands of the organization. Our business partners may use benchmarking to build their business case, but it is a component in the argument – not the argument itself. While I think benchmarking can be useful for specific purposes, in my opinion, it is dangerous to use benchmarks outside the HR “family.” I have heard on more than one occasion how the Saratoga “HR spend per Employee” benchmark has “backfired,” resulting in a justification by management to decrease the HR budget rather than protect or increase the budget. Think back to a time when you were asked to add a new process, project, or other activity – typically within days – after you finalized your operating plan or objectives for the period. A business unit handles this scenario very differently. First, they examine the feasibility of adding the requirement – it is not a given that they will take on the additional work – they will examine the impact to their primary objectives. Second, they will articulate back to the requestor the consequences or trade-offs of this additional requirement. The trade-offs may be increased risk, sub-optimization or what other requirements will have to be dropped in favor of the new requirement. The business will not frame the issue as “we can’t,” rather, they will position the new request as “we can, but here is the cost.” It then becomes the requestor’s decision; is this new requirement worth the “cost?” Typically, this becomes the basis for negotiation. HR departments running like a business frame all their business partner/leadership requests in this fashion. They do not say “no;” rather they ask “what is most important” to achieving your business objectives given the relative “costs?” By articulating the trade-offs, these HR departments ensure the organization values the work and appreciates the effort. I learned early in my career, spotting issues alone does not earn an “A”. We must come to the table with ideas on how to address the challenges we see. 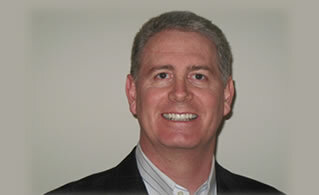 In that spirit, I want to outline the elements of our product, The Business of HR. We offer two primary delivery mechanisms: HR Boot Camp, a one-day event with multiple companies, and HR Workouts, 8-12 week engagements working with an HR team within a single organization. Our product designed around The Business of HR was created for the HR leadership team to help prepare them (you) for the annual budget and strategic planning process. We have learned from experience it is critical to the success of the HR function that the HR leader actively participates in this preparation process. We have identified 5 key elements HR must master to operate like a business. Get their “arms around the money.” There are several advantages of going through a detailed process to fully understand the organizational spending on people initiatives. Some organizations have “found money,” others have recognized potential saving opportunities – with the savings going to HR – and others have been able to dispel myths about the cost of HR. Understand the organization’s true priorities. We have found that how an organization spends its resources is a “truer” indication of an organization’s priorities. Using our “money bags” chart can vividly illustrate the gaps between what the organization says is important and where it puts its money. Assess your pivot points. Not every dollar you spend has the same impact to the business. We help organizations be more strategic about where to make cuts rather than just across the board – which, while simpler, is not optimal. Identify relevant metrics to prove success. Most organizations do not proactively develop a measurement strategy and try to show organization success “after the fact.” The problem is without a baseline and a specific plan to measure success, we often use proxy measurements, which are less compelling. Should HR Function Like a Business? So I posed the question, should HR function like a business? Since I am a licensed attorney, I will give you the legal answer, “it depends.” We should always know the answer to the question, Is our cost structure competitive with the open market? As a support function, we probably should not be pursuing a profit at the expense of our business partners but that does not mean we should not speak in business terms. To refuse to speak in business terms is like refusing to speak the native language. If we want to be more proactive, add value to the business, and ultimately be more successful, I believe we need to be more business-like. I welcome your feedback on this blog and whether you are interested in learning more about our programs around The Business of HR.